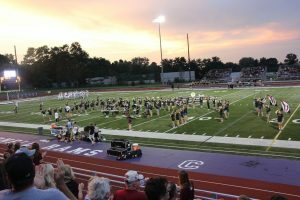 The Mount Vernon Marching Band competed at the Bands Across the Prairie Marching Invitational on Saturday in Cedar Rapids. 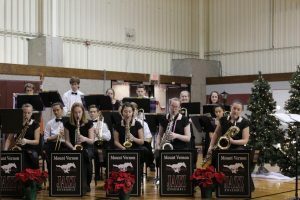 The Marching Mustangs came through with a third place finish overall behind Marion and Independence. 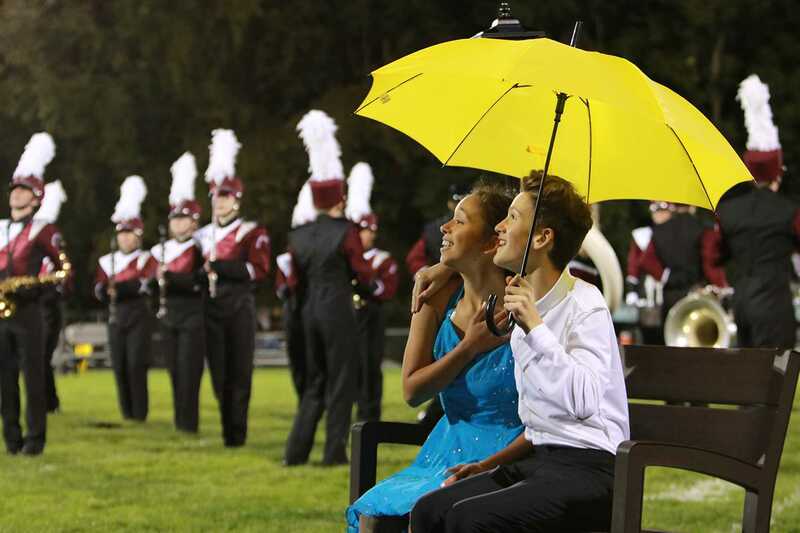 They also grabbed a second place finish for their guard and the best drum majors award. 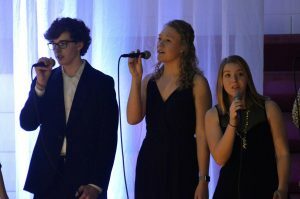 The show is titled “Thunderstruck” with a precipitation theme. 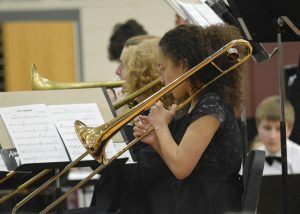 The band plays songs such as “Singing in the Rain”, “Somewhere Over the Rainbow” and “Thunderstruck” by AC/DC. 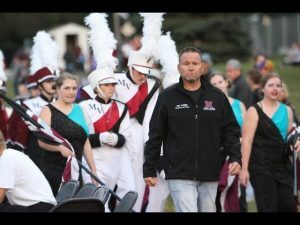 “That was the best performance of the season, we caught some bands that got us in past competitions and got where we wanted to be,” said Scott Weber, Mount Vernon band director. 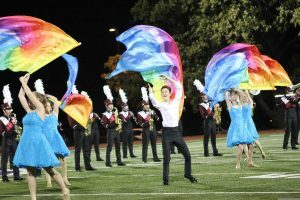 The color guard missed first place by less than a point to Independence. 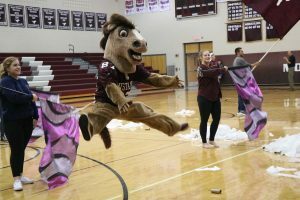 “Independence follows us to all our competitions, they are are first in the state and some tough competition,” said Weber. 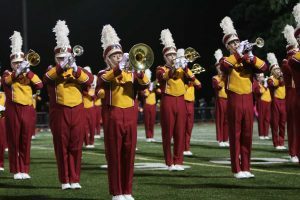 The Marching Mustangs’ next competition is state marching band on Saturday, Oct. 6 at Kingston Stadium in Cedar Rapids, Iowa. 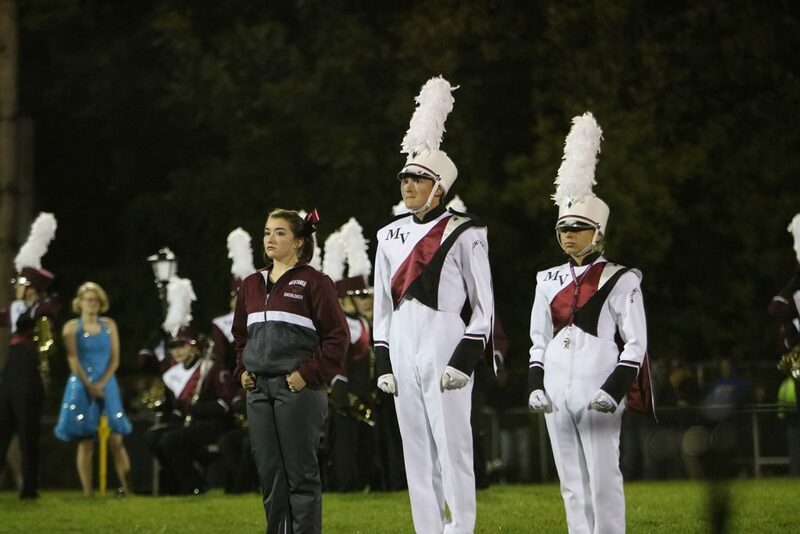 Drum majors prepare for the beginning of the Sept. 28 show. 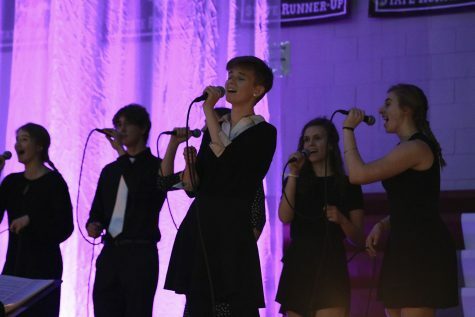 Slideshow photos by Maddie Naeve.